Tim Hortons has recently added a new crispy chicken sandwich to their menu and I was invited to try it. The Tim Hortons I went to didn’t have any ready when I ordered it, so I had to wait a while for them to make some more chicken. I was okay with that though because at least I knew they hadn’t been sitting around all day. 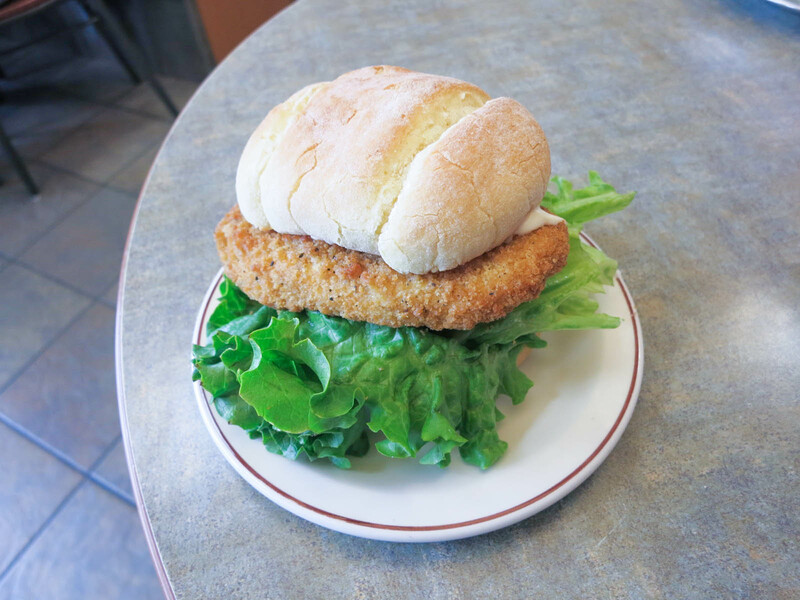 The crispy chicken sandwich comes filled with a chicken patty, lettuce, tomato, and mayo. In comparison to your average fast food chicken burger, this version was much less greasy, likely because the chicken is baked instead of being deep fried. It reminded me a lot of what a chicken burger made at home with frozen patties would taste like. I was actually pleasantly surprised by the bun. It was soft and chewy and it didn’t have a plastic texture like most other fast food burger buns. The lettuce was also better quality than your standard gross shredded iceberg. I wish I could say the same for the tomato though. It was severely unripened and almost white. Tomatoes like that shouldn’t be served. I thought this sandwich tasted much better than the other sandwich options at Tim Hortons, so it is worth a try if you find yourself there for lunch.